The Quinto Moro B&B is set in the small village of Arbus, the last town before the beach of Costa Verde, in South-western Sardinia. 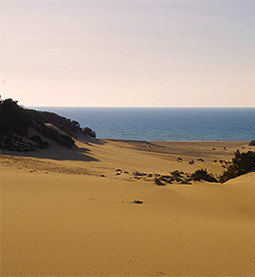 Costa Verde is one of the last barriers representing truly unspoilt Sardinia – seeing is believing – less crowded than the north of the island, heralding authentic scenic beauty, certainly less showy than the Costa Smeralda. But apart from its splendid seascapes and beaches, Arbus is also home to a very special piece of Sardinia’s ancient history, i.e. its fascinating and extensive mining heritage. A holiday on the island, in the heart of Costa Verde, will be just a starting point on a trip of discovery of southern Sardinia’s rich culture and wine and food traditions. 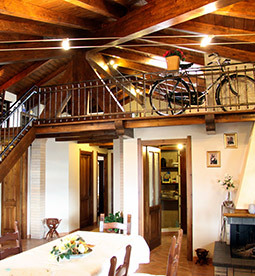 With its typical architectural style, welcoming common areas and just three rooms for guest accommodation, the Quinto Moro will become your very own Bed and Breakfast in Sardinia, offering year round the relaxation of a typical Charming Hotel at unbeatable prices.